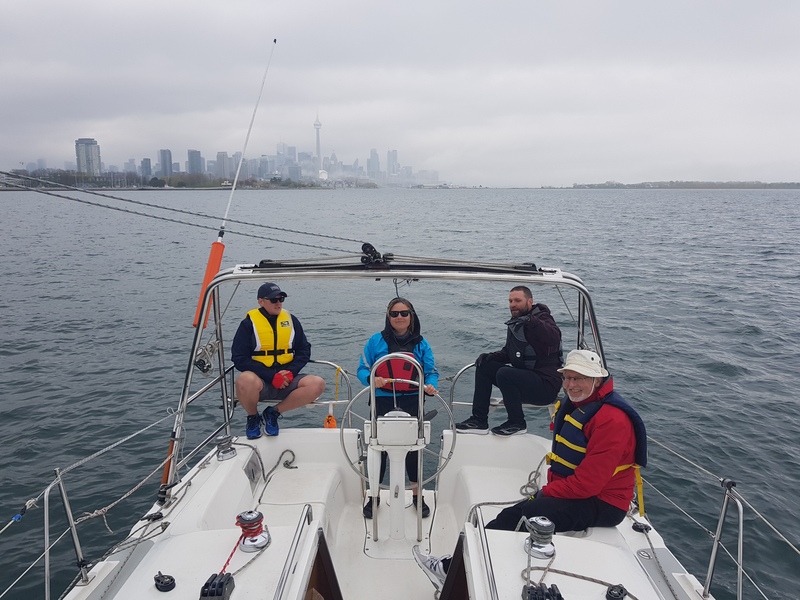 At Toronto Sailing & Canoe Club we offer fun and affordable adult learn-to-sail programs on dinghies and keelboats. Our sailing instructors are experienced and accomplished sailors, trained and certified by Sail Canada - and more importantly, they love sailing and love teaching. Every instructor is trained and certified by national authorities in boat safety and First Aid, and they provide a safe and fun-filled learning experience for all students. Once you complete a course, you can join as a Fleet Member and sail for the rest of the summer at a discounted rate. 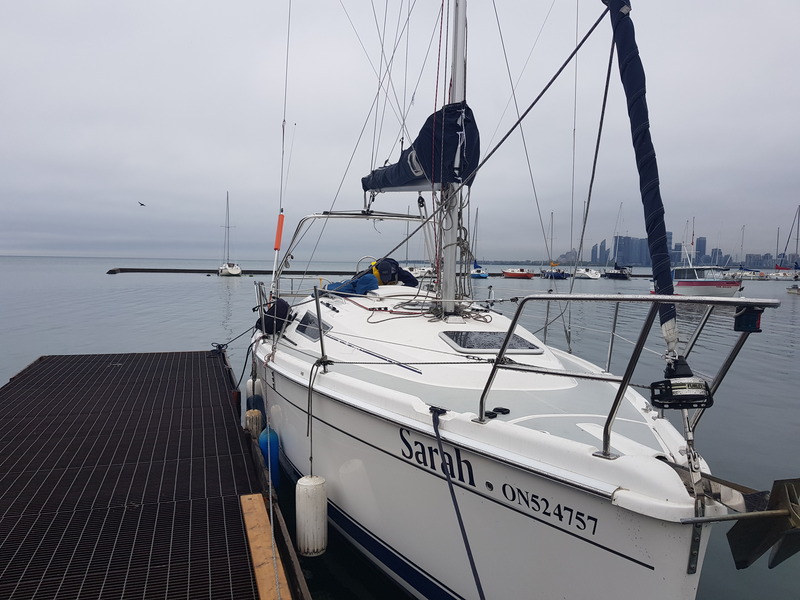 This is the most affordable way to learn and continue sailing all summer in Toronto! We offer CANSail 1 and 2 together for one low price. CANSail 2 is generally regarded as the level needed to competently sail a boat on your own. I'm complete beginner, should I take a Keelboat or Dinghy Course? Both the Basic Cruising and CANSail 1/2 cater to complete beginners who are sailing for the first time. The difference is that Basic Cruising teaches you how to sail on a keelboat (larger boats 20+ feet in length), and CANSail 1/2 is for dinghies (smaller boats designed for 1-2 people). Both courses are recognized nationally by Sail Canada. We recommend the CANSail 1/2 course if you consider yourself to be relatively active and comfortable around water. Since the boats are smaller, being able to move around and shift your weight is necessary to keep the boat flat. There is also a chance of capsizing, in which case you will need to use your weight to bring the boat back into the upright position, while navigating yourself around the boat in the water. You will always be wearing a life jacket. We recommend the Basic Cruising course if you a more laid back experience, or you don't want to enter the water at any time. This is also the course to take if you are planning on buying a keelboat of your own. The larger keelboat we teach on is more stable than the dinghies, and there is no requirement to enter the water. The course is taught with 5 students and 1 instructor, all on the same keelboat. Objective: To be able to cruise safely in familiar waters as both skipper and crew of a sloop rigged keelboat of 6 to 10 meters with an outboard or inboard motor in moderate wind and sea conditions by day. Click Sail Canada Basic Cruising Standard Course for more details. You will earn a Sail Canada Basic Cruising certification upon successful completion of this course. You can join our Keelboat Fleet Program once you have your Basic Cruising certification, and sail our keelboats for the rest of the summer at a discounted rate. Click the link below and select "Adult Basic Cruising Programs" from the list. The number shown inside each box is the number of spaces left in each session. Registration is online and payment can be made with a MasterCard or Visa credit card. For more information email tscc.adultsailing@gmail.com, text or call 647- 242-4856. Email is preferred during the offseason in the winter. You can also check out our FAQ section below. For more information email tscc.adultsailing@gmail.com, text or call 647-242-4856. Email is preferred during the offseason in the winter. Students who successfully complete Basic Cruising or can demonstrate competency may join TS&CC as Keelboat Fleet Members and sail the club keelboats. See the Keelboat Fleet page for more information. This program is designed for complete beginners and for those wishing to upgrade their skills and advance their experience. Our program is based on the Sail Canada CANSail levels and is taught aboard RS Vision and 420s dinghies. Participants have the opportunity to earn nationally recognized certificates for each level by demonstrating skills learned in the program. Upon successful completion of this course, you will earn both a CANSail 1 and 2 certification. CANSail 2 is generally regarded as the level needed to competently sail a boat by yourself. As your CANSail 1/2 course fee includes a Crew Membership for the season, you can crew on members' boats on our Tuesday and Thursday Race nights after you complete the course. You can join our Dinghy Fleet Program once you have your CANSail 2 certification, and sail our dinghies for the rest of the summer at a discounted rate. Click the link below and select "Adult CANSail Dinghy Programs" from the list. Students who achieve their CANSail 2 level can join our Dinghy Fleet as a New Skipper. Students who achieve CANSail 3 can join our Dinghy Fleet as Boat Captains, and take guests out on our boats with them. Fleet Membership allows participants continue to sail the club's boats for the rest the season. For students graduating the dinghy program, the Fleet Member rate is discounted. See our Fleet Membership page for more information. Our CANSail 3/4 program is designed for students who have achieved their CANSail 2 level. Advanced sailing skills and theory are taught in these courses. Sailing skills are further refined and new skills are introduced such as sailing by the lee and sailing backwards. Students are introduced to racing and regattas. Although the CANSail 3 and 4 courses are run in one class, you will only be able to achieve one level in one session. For example, the first time you take the CANSail 3/4 course you will be working towards your CANSail 3. If you achieve the CANSail 3 level, you can take the course again and work on more advanced skills to work towards your CANSail 4. For more information email tscc.adultsailing@gmail.com, or call 647- 242-4856. Email is preferred during the offseason in the winter. 1. I'm complete beginner, which course should I take? Both the Basic Cruising and CANSail 1/2 cater to complete beginners who are sailing for the first time. The difference is that Basic Cruising teaches you how to sail on a keelboat (larger boats 20+ feet in length), and CANSail 1/2 is for dinghies (smaller boats designed for 1-2 people). If you consider yourself to be relatively active and comfortable around water, we generally recommend taking the CANSail 1/2 course. Since the boats are smaller, being able to move around and shift your weight is necessary to keep the boat flat. There is also a chance of capsizing, in which case you will need to use your weight to bring the boat back into the upright position, while navigating yourself around the boat in the water. You will always be wearing a life jacket. If you are not as active or mobile, or you don't want to enter the water at any time, the Basic Cruising course is the course for you. The larger keelboat we teach on is more stable than the dinghies, and there is no requirement to enter the water. The course is taught with 5 students and 1 instructor, all on the same keelboat. You must bring a C.S.A. approved Life jacket or Personal Flotation Device that fits properly and is correct for your weight. They can be purchased at any Marine Supply store, Canadian Tire, Walmart and other shops. We recommend purchasing a yellow or orange colour. The water can be very cold during the season (especially during May and June), we recommend you purchase a Wet Suit to help protect you from cold water. Marine supply stores can show you the options and Costco often has an inexpensive wet suit with short sleeves. A water bottle and waterproof sunscreen. A hat, at least one change of clothes, swimming attire, wind jacket and towel. Shoes should be closed toed non-slip and not damaged by water. Running shoes or Teva style sandals are often worn. Barefoot are not allowed. 3. What if the weather is too bad to sail? 4. Should I bring my own food? The club has a grill which provides meals on Tuesday and Thursday evenings for those that want to stay and socialize. For the weekend courses we recommend you bring a lunch as there is no food available. 5. What safety measures do you have? Our instructors are all qualified in boat safety and first aid. A lifejacket or PFD must be worn at all times when sailing on the water and on the club docks. We ensure that there are always an adequate number of instructors by limiting enrollment. When CANSail students are out on the water, there are instructors in support boats in attendance to provide assistance. 6. I can’t swim – is that a problem? While it is not essential that you be a good swimmer, part of achieving your CANSail 1/2 level involves capsizing your boat and being in the water. You should feel comfortable around the water but regardless of swimming ability, you will be wearing a lifejacket or PFD when in the boats or on the docks. 7. What if the course schedule does not work for me but I still want to learn how to sail? We offer private lessons for adults and youth. These lessons can be for one-on-one or two students to one instructor. Click “Private Lessons” to learn more.